Once again, interesting phenomena is taking place. But in essence, this type of phenomena has been taking place for some time. 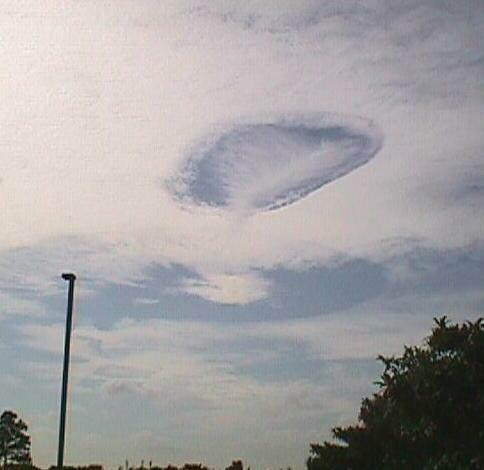 Unlike our "Crop circles" reported worldwide, phenomena of similar attributes have been reported in our skies. Personally, I have come to call them "Sky Crop Circles" (as this is the first impression I received). 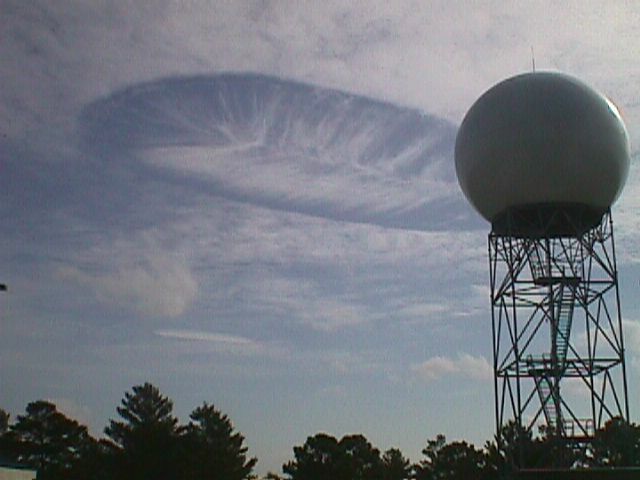 More technically, I would call them "Sky Cloud Circles". Is this Nature at work again? Or is this our SVs (Star Visitors) trying to send a message across? Or is this our SVs camouflaging themselves in our skies, and what better way than to use clouds? But surely, they would know of the intricate designs they are creating by their presence in our clouds. Again, we are baffled by such a means of communication - if it is as such - which is definitely worthy of investigation. And how much more obvious can they make themselves known by leaving such intricately beautiful patterns in our skies with clouds? Below are just a few examples of SCCs (Sky Crop/Cloud Circles). 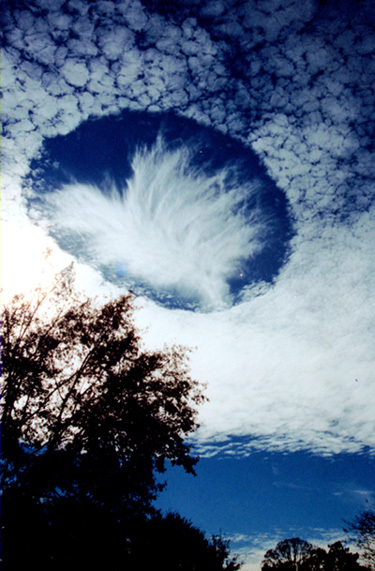 Below are some photos of some strange clouds with holes in them. The first three were taken in Melbourne, Australia last year (2003). Scientists are still speculating on what causes these holes, yet it is interesting there were UFO sightings in the area at that time. 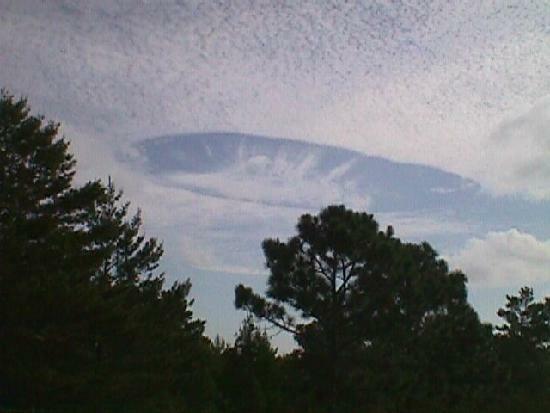 So, maybe the force field of the UFO craft caused the strange hole. 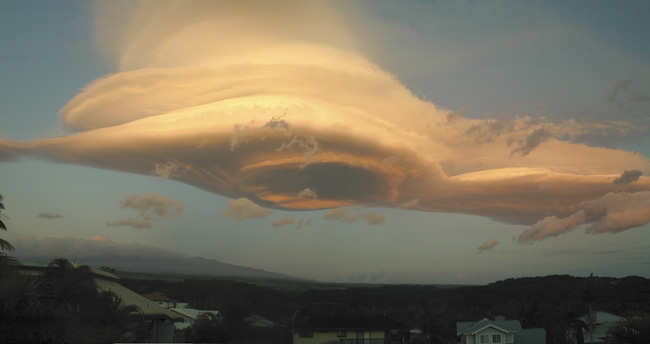 This really strange cloud (below) was photographed in Hawaii not long ago. 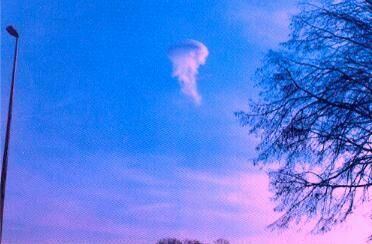 It is believed to be a "Lenticular cloud". To receive credit for your photos, please add your name, and "PUFOI" (Project UFO Int'l) will include your name alongside your photo(s) sent. Please take the time to read our "DISCLAIMER POLICY". If you decide to send photos, please include the time/date and location in which the photos were taken. PUFOI (Project UFO Int'l) wishes to thank you for your contributions. © 2003-2012 Project UFO Int'l. All Rights Reserved. © 2000-2012 UFO & Paranormal Studies Int'l. All Rights Reserved.